Luxury carmaker, Audi has announced a 28 per cent rise in sales in the US market mainly due to a strong growth in the premium car segment. The sales of premium category Audi A8, A7, A6, and Q7 rose by an impressive 30.4 per cent. The growth in July marks the 19th consecutive month of rising sales for the company. Audi sold a total of 11,707 units during July 2012, resulting in a 28% increase in sales from the same month in the previous year. 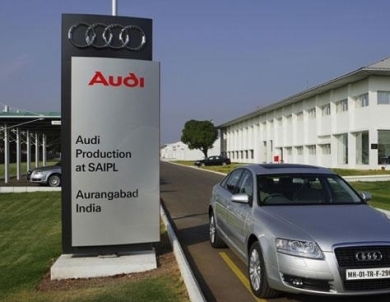 Audi is planning to invest _13 billion in the coming five years to launch new products and the latest in technology. The demand across dealerships in the US remained strong for the company's enhanced 2013 models. The sales of the updated Audi A4 rose by an impressive 51.7 per cent in July. Audi has been rated as the most successful luxury brand across the world and is a top performer in European markets and has made a new sales record in the US market despite difficult market conditions. The company competes with the likes of BMW and Mercedes in the global luxury car market.